First things first: The answer is yes, Metro plans to have another “Speed Dating on the Red Line” event this year to celebrate Valentine’s Day. We’ll have more details soon but circle Friday, Feb. 13th, on your calendar. In the meantime, we’re planning to record a podcast to help promote the event. But we need your help to do it. 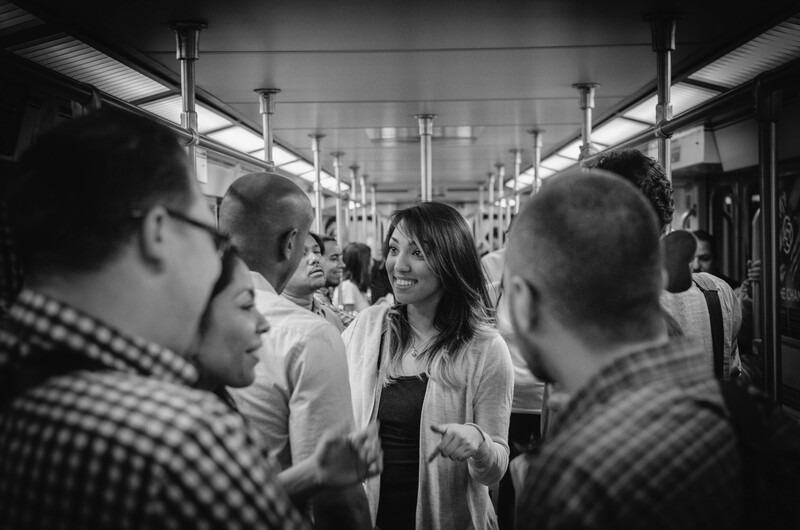 Specifically, we’re looking for three regular riders to help answer the question: is it really possible in this day and age to meet someone on transit that you would go at least one date with? Look, people. I honestly have no idea what the answer is. I’m an Old Goat with a long-time S.O. that lets me off-leash to go to work, walk the dog and a few assorted errands. But I like the question because it brings up all sorts of issues that confront transit riders about biology and proper behavior in a very public space. Email us a paragraph about yourself, including how often you ride transit and a sentence or two about why you would be a great panelist. We’ll pick three people who we think would make for a fun panel. One caveat: we plan on recording the podcast after work on Thursday, Feb. 5, at Metro headquarters next to Union Station. So you need to be available then.